It was May 2000. Two burly security guards burst into my office and escorted me off the premises at Century 106 in Nottingham, as my time in management there ended and the Capital Group ownership began. It was an uncomfortable moment; and I was not planning to leave without a fight. At least, that was the rumour I later heard from various sources. Tales like that fascinate me. Whoever decided to create the wholly fictitious story had clearly decided that one security guard was not enough. It had to be two. The truth was altogether more prosaic. I’d resigned, and Capital’s lovely Julie Fair journeyed from BRMB for the staff meeting to announce future plans. When she phoned en route, I reassured her I’d put the kettle on. Which I duly did. The staff meeting passed without incident and we all gathered for some Macon Village later. The sale of Absolute to Bauer brings back memories for me of last time the keys to One Golden Square were handed over. It’s a reality in any business now that, if you’re fortunate enough to have been running something from the top table and someone else buys it, they'll want to do it their way and that means there's just a chance they may not need you. There’s a thoroughly grown up response to that. They’ve bought the train set and they can play with it how they like. But, given this is radio, and given we genuinely feel such passion for it, there’s the private temptation to want to lie on your back in the office, legs flailing, and scream like a spoilt three year old because the runny-nosed lad next door has stolen your toy. When a company’s taken over, there is a phoney war period. Nothing changes; albeit it feels a little ‘end of termy’. Then, suddenly, there’s a ‘moment’ when the reality hits. A significant decision taken without your knowledge; or people just treating you a little bit differently. It’s not that they were in any way deferential before, for goodness sake, it’s just that people are more interested in their futures than your past. 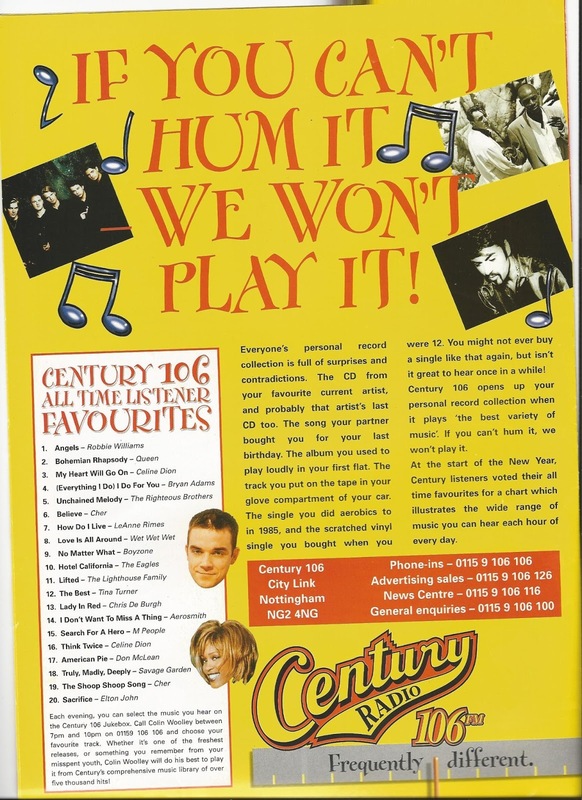 When Capital first arrived to survey their new Century assets, as they acquired the former Border TV radio interests in the year 2000, I peered out the first floor window of the 106 offices in a less than beautiful part of Nottingham. A succession of stretched black cars pulled up and the smooth Capital management team got out, in force. It reminded me a little of those films of Wartime Europe. Of course it was sad: we’d built a great team and more than doubled the audience in two years; 106 had just broken into profit; and I had the feeling that the format was about to break through. And it was my home town. Capital though, felt that a male-targeted ‘fun and football’ format was the answer for this market with only a CHR competitor, so I thought I’d leave them to it. As Virgin morphed into Absolute in 2008, the farewell was probably one of the nicest ever, as befits the team there. I’d always known my spell at the Company was likely to be short, given the 'For Sale' sign outside. As I walked down the wonderful Carnaby Street, en route to One Golden Square, I cherished the moment each morning. When Clive and the TIML guys arrived, they were open, pleasant and honest, and I hope the ‘we can probably manage without you’ conversation was not a difficult one for them to have with me. Clive, bless him, squeezed in a small desk for himself in a dark corner next to the coat stand; whilst I remained in my office with seeming impunity, gazing over sunny Golden Square. And, as they planned their changes, he talked them over with me, lest I knew of any relevant buried bodies. It was a dignified end. And the farewell, well it was true Golden Square style. Hic. That team will forever have a warm place in my heart. Not many companies allow you a farewell blog on their own website. 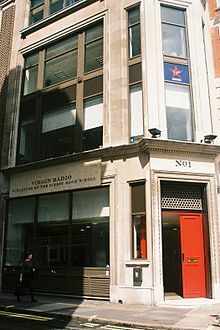 As Huntingford/Riley/Thomson's exceptional Chrysalis Radio became the foundation for an ambitious Global Radio in 2007, I had a feeling Ashley and Richard would want to do it their way. I resigned as LBC MD, probably just before they’d had the chance to finalise their management plans, which I suspect would likely not have had a seat for me. I said to Richard Park: 'I think we'd argue'. He said not; but on this rare occasion, he's probably wrong. But, turning on the radio now and hearing ‘London’s Biggest Conversation gives me a huge sense of pride. We’d been a key part of the rehabilitation journey for this talk station; and they’ve now taken it forward in their way to become the giant it deserved to be. A little like splitting from a lover, there’s a time when it hurts to turn on the radio and spend time with your old station. But after a decent interval, you can become friends again. BBC farewells appear a little odder. They de-activated my card access key the second I resigned. I was stuck in a hallway, banging on the door. I guess that's what happens when you only bother staying in post two weeks. Sorry. By the way, for the record, there is nothing timely about this blog whatsoever. I rather hope I'm not about to wave any more goodbyes just yet. But when you’re a spiky young jock, well, you can afford a little more dramatic emotion, albeit painfully embarrassing to reflect upon now. I walked out of Leicester Sound in a 1991 fit of pique; and left Trent in a 1987 quest for a management gig. Those were simpler exits. I just cried. It's Arthur's fault. Once upon a time, it was decreed that news should be conveyed by delivering a few minutes of successive scripts. 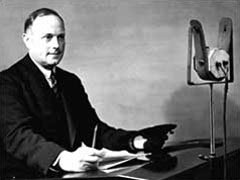 Arthur Burrows at 2LO started it all off in 1922; it’s said he read the bulletin twice, once slowly and once normally, inviting listeners to suggest which they preferred. No text vote though. The speed, length, style and content has changed hugely since those Reithian days of Received Pronunciation. But, in essence, the gig remains the same. 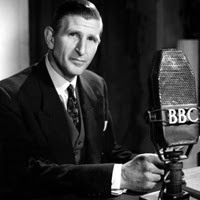 A newsreader has to engage whilst doing what radio is not particularly geared to do: delivering lots of detail in quick succession. If we started radio now, maybe the news bulletin would not exist in this form. Thankfully, though, what radio is great at, is story-telling. 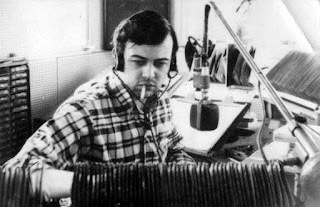 What a gifted radio newsreader accordingly is, is a story-teller of the highest calibre. I say ‘newsreader’ rather than journalist deliberately. Part of the dilemma lies in the word. A great journalist may not be a great newsreader; and vice versa. Recruiting someone who is capable of both is tough; recruiting someone who is excellent is tougher still. Some want to be journalists and are not really bothered whether that is on radio or not. The listener is. Firstly, it requires a voice. Just as some people have more attractive faces than others, some voices are more attract than others. Yes, you can work on a voice, just as you can slap make-up on a face; but as your mum would have said, you really cannot make “a silk purse out of a sow’s ear”. Some voices really just should not be on the radio. Sorry if that sounds harsh. Other voices are fine. It’s just how they are used. When Becky Adlington sought an Olympic Gold medal for her mantlepiece, she was up at dawn, practising and being coached. In radio, spotty music presenters grow up listening to their idols, emulating them, then practising at hospital stations, playing their shows back again and again in a bid to improve. But in British radio, how much time do aspiring newsreaders put into developing their art? Some do, and they will likely agree with me that others do not. News has rightly changed over the years. Witness the high pitched, staccato Pathe delivery, contrasting with the calm, yet dramatic Alvar Lidell, with a voice built for War. In later life, Alvar wrote a letter to 'The Listener' magazine, decrying what he termed 'newsweeding'. With rhotacism now seemingly ever more prevalent, he's weally got a point. The Americans had fun too. Enjoy this US delivery in the 1960s of a 'bannerline news' bulletin from the pirate station, Radio England, influenced by WFUN in Miami. It’s utterly over the top, but he sort of gets away with it. Americans love to perform, whereas over here, we call it 'showing off'. It's the way we are brought up. Frankly, just a dash more ‘performance’ might help many newsreaders today. You are performing on stage to an audience; not reading a shopping list. Don’t be shy. Wave your arms about, like when you explain something to a friend. Who gives directions without raising one arm? That bulletin illustrates a point too. Whilst that guy gets away with it, it’s easy to point to stations which appear to think that punctuating the news with high-intensity production, and having the newsreader shout his stories over a dance track, lends power to the bulletin. In the absence of a presenter who can really ride that imaging like a stallion, it’ll just make that presenter sound more wishy-washy than ever. Radio 4 does things beautifully. Only newsreaders of that calibre can hold an audience through a scripted half hour in the 6.00 p.m. news, retaining huge audiences. But I wonder how many newsreaders learning their craft on smaller stations have troubled to play back a bulletin like that to consider ‘how do they do it?'. 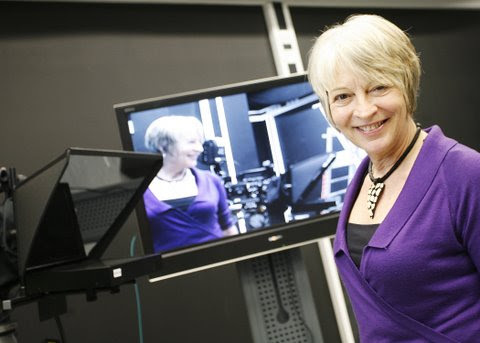 One may not wish to sound like Radio 4 on a different format, but the techniques used by the likes of the impeccable Corrie Corfield are utterly relevant. Enjoy here just a snippet from Peter Donaldson, a master of his art. On music stations, there is a contemporary conversational news style which has become prevalent. Let us not under-estimate the gift that this demands. Sounding like you're telling your best friend what's been happening, whilst still retaining authority is a tough act to pull off. Clearly, I'm proud of many of our journalists at Free Radio in the West Midlands, but just catch here how Dan Dawson has captured a style and called it his own. A news story is a story. Accordingly, it boasts a beginning, middle and end. Each story, though is different, as should likely be its delivery. I am amused to hear stories pushed through an enunciation machine WHICH makes every one sound THE same; and ends up emphasising all the wrong WORDS. They also emphasise the last word of every SENTENCE. Whether it’s the most appropriate one or NOT. Having praised Radio 4, I do sometimes despair of some of their reporters who do that in their VOICERS. Someone should tell THEM. It’s not just stressing the last word – it’s lingering on the last WOOOOOOORDDDD. And there's that inexplicable sound of 'surprise' which some readers use at the start of every story. It is one useful device; but not for every story, please. Great newsreaders use verbal punctuation marks. Those great techniques like almost tossing aside some lines of detail, using speed and volume, signalling: ‘this is background, the story comes in a second”. There is the drama too: if a news story is actually just coming in, making it sound as though it is. The sound of discovery – the real sound of a hot news story. Every broadcaster knows that a smile is audible. It is not for nothing that call centre staff are told to smile when answering the phone. There are stories when that is useful; and functional material like weather benefits too, when a trace of vocal brightness eases the legacy of darkness most bulletins have to convey. Remember the value of the pause. Of course, it’s not a case of putting on a silly voice. It’s about making the best use of the voice you have to lend the greatest quality to the words which should have been well-crafted. It's about communication. I recall once being in a shop with Radio 1 burbling away in the background. As the bulletin began, the folk in the shop stiffened and quietened as he began. He had not asked to be heard, his authority had demanded it. Howard Hughes similarly ruled London on Capital for a generation. Don’t read me the news; tell me the news. Talk to me. Engage with me. You'd be shocked if you sat in a focus group and asked them how much of a bulletin they recall. Preparation is key. I appreciate busy journalists in small newsrooms barely have time to record all their various bulletins, let alone set aside enough time to rehearse fully in a spangled costume; but if you never witness a journalist half-reading their stories out loud as they hammer on the keyboard, there’s likely something wrong. I appreciate too that with bulletins likely now appearing on screens rather on paper, marking up a bulletin in Biro, for its emphases, flow and tone, may not be possible. That makes it all the more important to understand in your head how you'll make a story sound. There are also some things which are just wrong. Aitch is not Haitch. Who says 'En, Haitch, Ess'? Am I being pedantic, though, when I say Lieutenant should be pronounced in the English way, not the American? I appreciate if I dare to mention 'schedule', not 'skedule', you'll just think me odd. Language and pronunciation changes, I appreciate. Ah well; sigh of resignation. But don't you agree that 'Hospital' really must have a swallowed 'T', otherwise you sound like a seven year old? You can deliver the best possible news story in a dreary way and be ignored and forgotten. You may as well have stayed in bed.